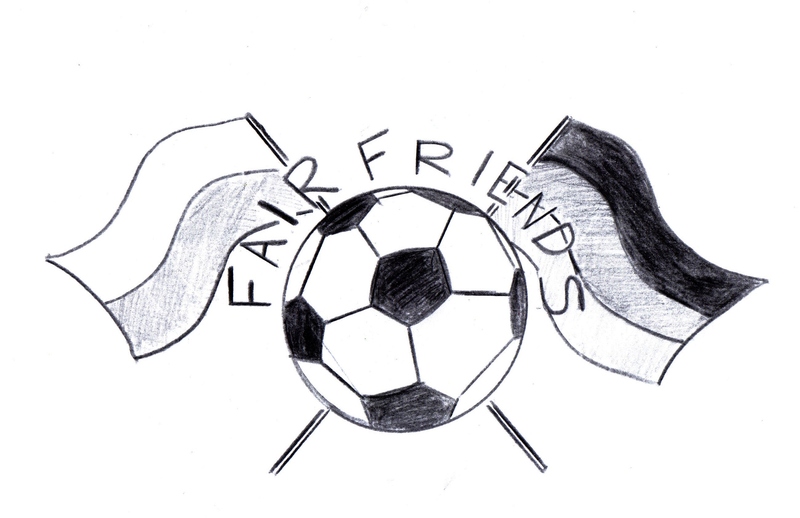 FAIR FRIENDS 2014 – neighbours without frontiers! there was a short feature in the first german television program about our project. This link will be removed after a couple of days. Between 02.06. and 06.06.2014 all of our 16 partner classes from Kolobrzeg and Szczecin will come to Berlin to visit their 16 german tandem partners. 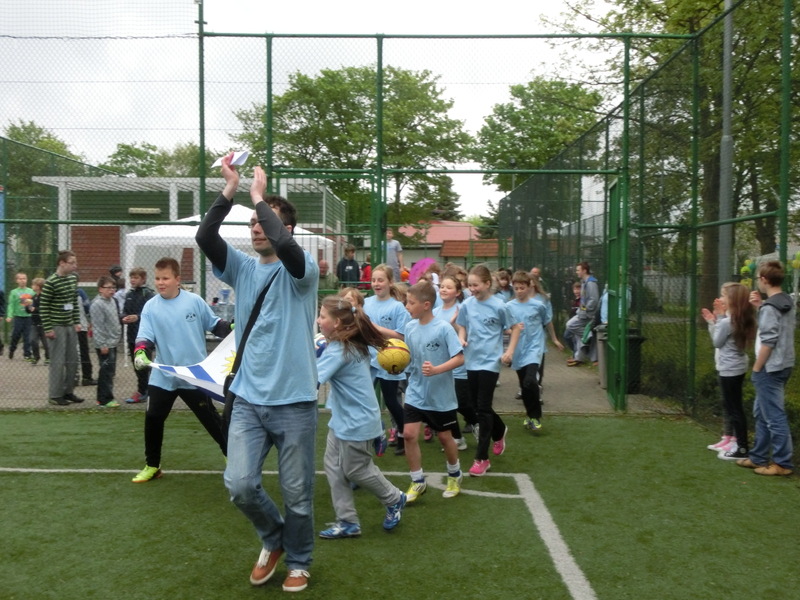 Here you will find some impressions of the tournamentday in Szczecin, 21.05.2014. 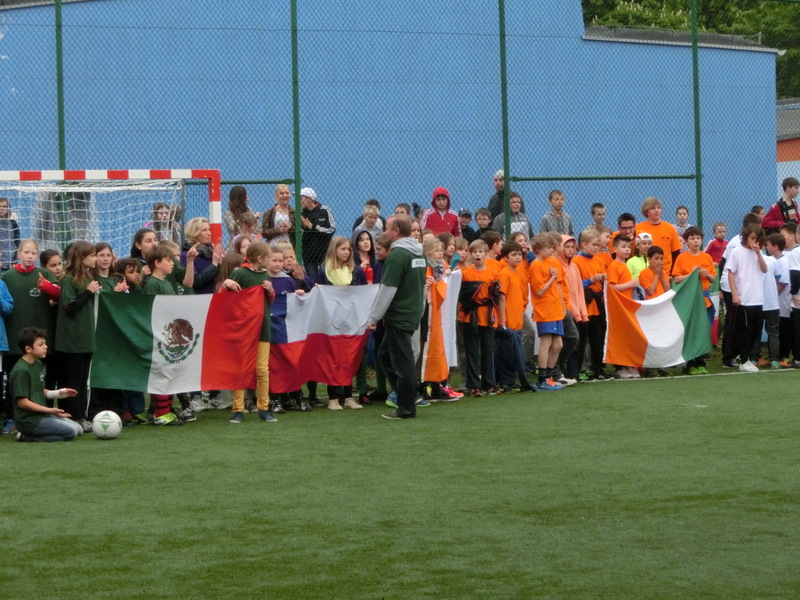 More impressions of the tournament in Kolobrzeg will follow as close as we get the pictures from our partners. Sorry for that! 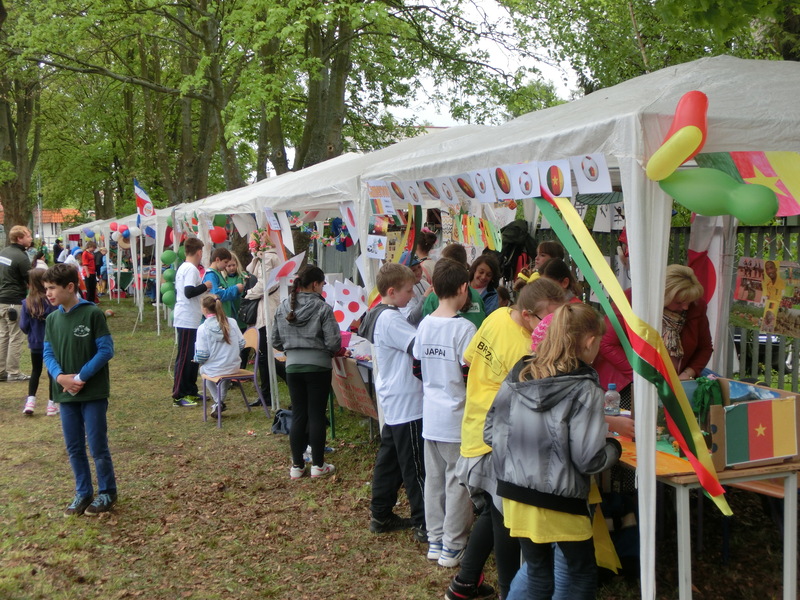 There were so many well prepared pavillons and so many fair football games in both polish cities. Everyone has done a great job. 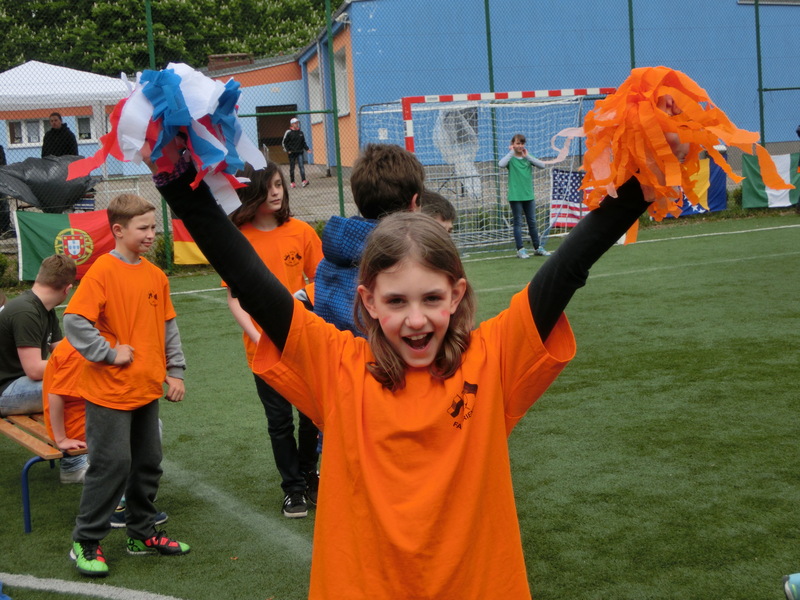 We are deeply impressed how all the classes made these days to really FAIR FRIENDS 2014 – DAYS! We are looking forward to a great FAIR FRIENDS 2014 – Week in Berlin! This is only a small selection. There are so many more pictures. It’s not easy to choose the right ones… So, please, don’t worry if pictures of your class are not on the screen. Time by time we will publish more pictures here. Gestern haben wir in der Arena der Schule 5 die Vorrunde A unseres spektakulären FAIRFRIENDS Event gespielt. 16 Klassen aus Berlin und Kolobrzeg spielten die WM Vorrunden Gruppen A,B,C und D aus. Bei frischen 11 Grad hatten alle viel Spaß beim FAIRFRIENDS Event, in den Länderpavillons und beim Absolvieren der Kosmopässe. Wir freuen uns schon auf die Vorrunde B nächste Woche in Sczcecin.